I finished up my 8 Weeks Left of Summer Fitness this past weekend and decided that I am, without a doubt, in maintenance mode. Weight loss is no longer a goal, but staying at or under a certain weight is. I still have goals for amount of time spent being active each week, miles run each week until the weather changes for the worse, and amount of net calories consumed daily. I will not lay out near as much as I’m used to logging here because, well… I’m in maintenance mode. But I will hold myself accountable here by checking in each week. I want to keep doing 5 hours a week of vigorous activity. I chose Wednesday as my weigh-in day because my body has always corrected itself by then from the weekend before. Since I’m truly in maintenance mode (my rib cage is a solid 31 inches measured just below my breasts, and the doctor says it is impossible for it to get smaller, that this is how I’m built), a mid-week weigh-in makes sense. I will run this 12-week program from September 2 through November 25 because that gets me up to “the holidays,” at which point, I will kick off another “Happy Healthy Holidays” program for myself. Well, on Sunday, we were looking for somewhere new to eat breakfast and headed to a northern “suburb” of our area to a local donut shop. Umm… I had 12 donut holes, a chocolate glazed donut, and a cinnamon twist. They were the best donuts I’ve ever, EVER had. I blew my calorie goal for the day by a long shot. WORTH IT! Monday morning, post don’t binge, and I weigh less than yesterday. No idea how, but I’ll take it. Hottie had his files watch the kids so we could have a quiet lunch and shop together. I was curious about sizing since there are some things I’d like to mail order. Much to my surprise, I’m a solid 6 in all brands and could go to a 4 at Ann Ta.ylor (AT is kind in their sizing – I’m no 4!). I slacked off this first week… I’m not proud of myself. I’ve been solo parenting for three days and I just didn’t have it in me to exercise Monday and Tuesday. I don’t know why, I don’t know how, but I dropped a lot of weight (2 pounds) this first week. I did stay in my calorie goals the days I didn’t exercise, but still. I don’t know. Was trying to get bulk of exercise in before trip to Portland, but trip was cancelled. Should be a lot of exercise this week then. I have a sweet tooth this week and it’s killing me! Wednesday – None – Rest! I’m thrilled to be at 141.2 after wine and ice cream last night. I knew I’d be under 145, but I was expecting 143 or 144. This week was a good run, despite the Oreos, travel, etc! 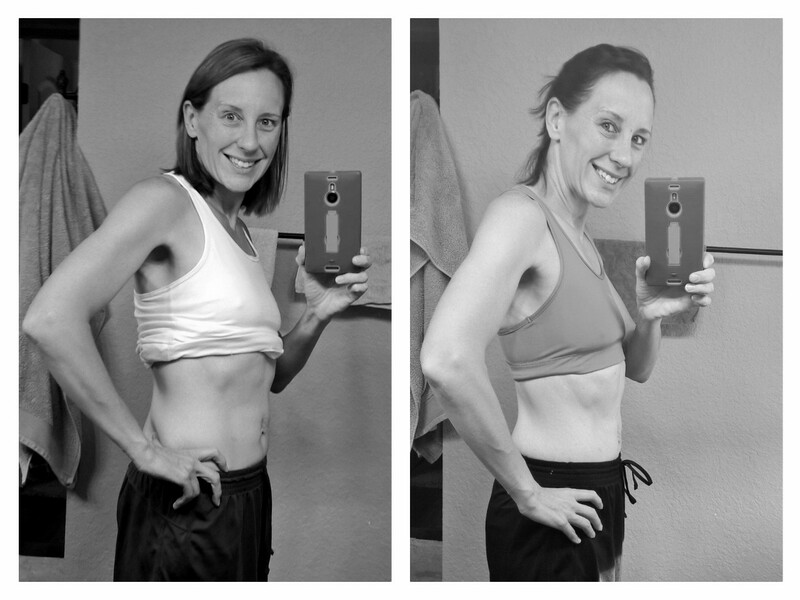 Week 6 (Ending 10/14/15) – Half Way!!! Got sick again! Skipped two days, then took a walk, then tried to beat it out of with a 8.06 mile run. Ended up even quicker. Ha! I’ve been embarrassingly constipated for 2 weeks and this week it made me not want to exercise. The 8 miles run did not help. But 3 days of coffee did. Huzzah! Just wasn’t feeling it this week, and my weight shows it. As I log this, I’m already 5.12 miles in for the next week, and it felt good. This past week was full of ice cream, apple pie, and a congested chest. Back at it next week! Thursday – Ran 4.06 miles (hard miles!) in 40:30 (9:58 pace), walked 0.21 miles in 4:00 minutes. All of this not even 14 hours after running 5 miles the night before. Had to force myself to run – feeling terrible. BUT – glad I did it! Weighed 141.8 on Thursday morning. Thursdays are always great weigh-ins. Ugh. 141.2 on Monday – after the weekend. Hooray! I am getting very good at keeping within calorie goals – very easy to do on days I workout. I’m tracking in MFP, but am sure to enter everything on days I don’t exercise to ensure my calorie limits. I noticed last week that my body looked different, especially in my thighs. My scales body fat measurement has ALWAYS been about 6-8% higher than my hand-held body fat monitor. This week… They almost match up perfectly. 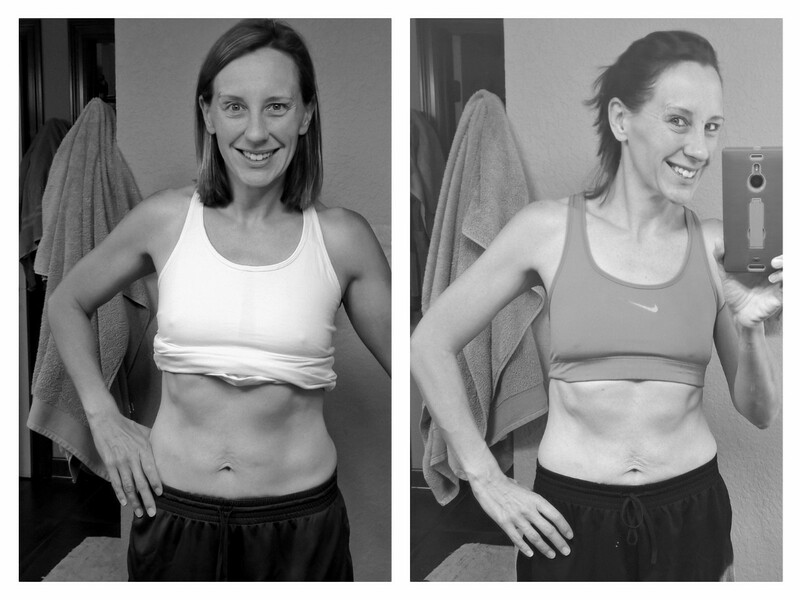 My body composition has changed! Thursday – 56:00 of INSANI.TY – I forgot how hard that was! I was not planning a stroller run on Wednesday night, but Bryson had other plans! 30mph guys, 20mph winds, hills, and pushing a 32 pound toddler makes for a hard run. We ran the first 5k faster than we’ve ever run one together! I’m ready for this challenge to be done because logging in two spots it killing me! Heavy week of exercise, and I am rethinking my thoughts that I can maintain 20+ miles a week while committing to PiYo as well. 7+ hours is a lot of exercise and time out of my days. We’ll see. Have really enjoyed doing more than just running!